This photo is the cover of the next Giro catalogue. FACT! 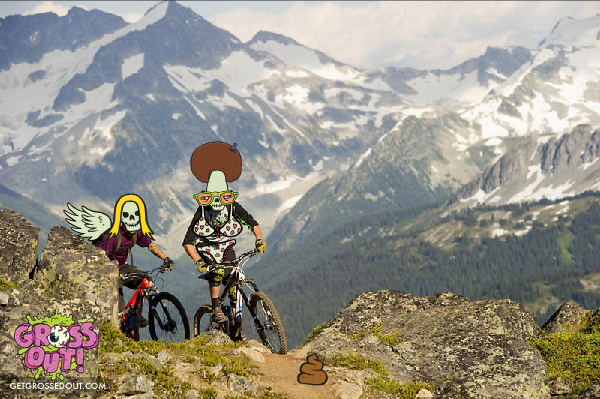 In front you can see World Singlespeed Champ Trannie Afro Zombie Schnell, and behind him is the zombie monster, Kurt Complain. Thanks to Colin Meagher for snapping this moment in undead history, Giro for believing in the need for equal rights for monster (truck wheeled) riders and for that amazing website, grossout.com. All photos may get the grossout treatment from here on out.